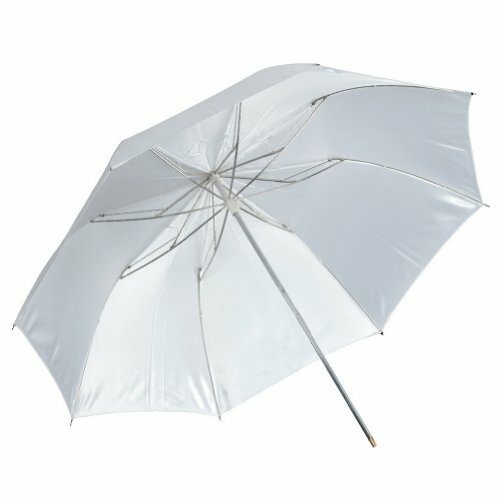 AD-S5 39" Folding White Diffuser Photo Soft Umbrella for Flash /Studio Strobe. Widely used with studio strobe, flash, specially for Godox WITSTRO flash AD180/AD360. Size: diameter 94cm (37in. ), 39cm (15.35in.) in length when folds up. Unfolds quickly for use, saves space, and carries easily. Attaches easily to the flash and creates a very large source of soft illumination. Widely used with studio strobe, flash, specially for Godox WITSTRO flash AD18/AD36.